Lace Front Wigs For Oily Scalps? "What are the best lace front wigs for someone with an oily scalp?" A lot of people ask questions that start with "what're the best lace front wigs for..." and end with a myriad of things like: big ears; oblong shaped faces; people with no hair; large heads; square shaped faces; short hair; transitioning hair; itchy scalps and the list goes on. We understand that people simply want to be confident that their lace wig of choice will work for their lifestyle or appearance - and so here are some of the questions that start with "what's the best..." and our thoughts as to the options. Lace cap wigs that don't require the use of adhesives are often referred as "glueless" (which isn't a word) but we prefer Wear &Go Lace Front Wigs (mainly because we like ampersands). Whether you have growth hair or not, an oily scalp can become uncomfortable if the oils isn't removed on a regular basis and the best way to do this is to be able to remove your lace front wig whenever you wish to remove the oil (either by washing or wiping) from the scalp. *alternatively there may not be any clips or combs. Open Wefts (Capless) Or Solid Internal Cap? 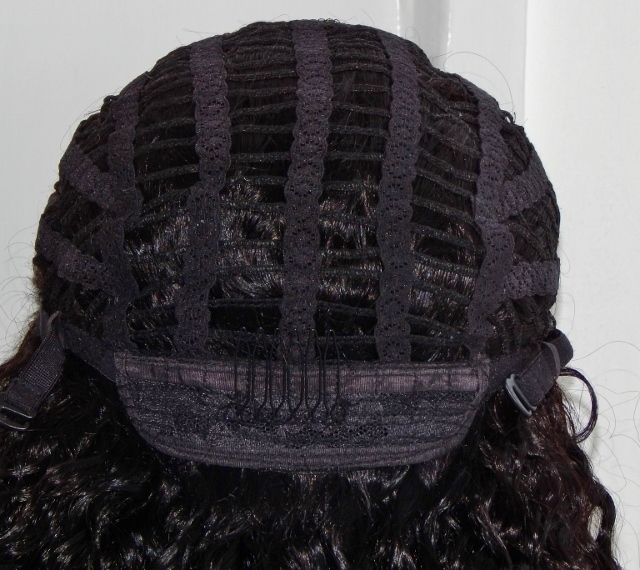 Due to the greater amount of sebum (oil) being created by the overactive sebaceous glands (the glands that produce the oil) it may be worth considering the cap construction of the lace front wig. 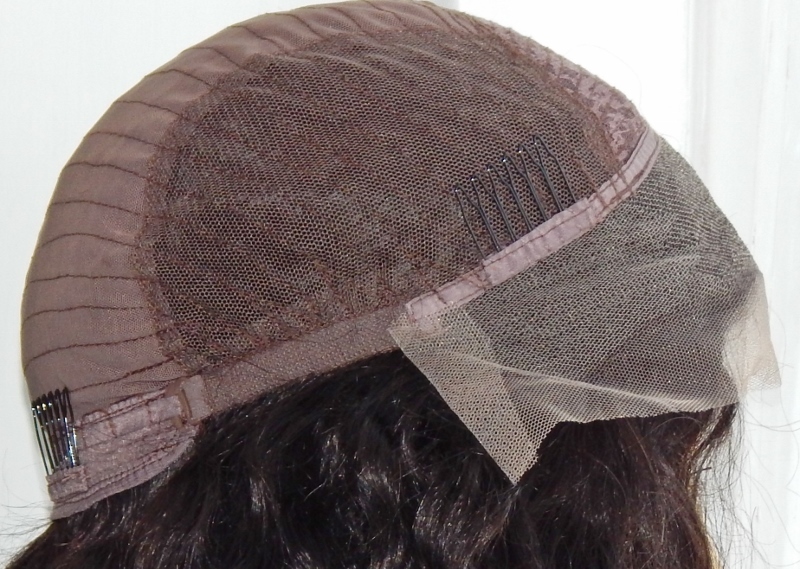 Would an open weft cap (capless) design be better or would a solid stretch cap design work better for you. In other words, is greater ventilation important and which would feel most comfortable? "What are the best lace front wigs for those with oily scalps and partial or total hair loss?" Clips and combs won't be of any use if you have significant or total hair loss; however lace front wigs can be customised just like full lace wigs so the clips and combs can be removed. An alternative option is to have straps at the back and a thin skin perimeter (PU strip) at the front. The PU strip can be used without wig adhesives but as it forms a seal with the skin, however if the skin at the hairline is also prone to being oily then an oil resistant adhesive like Ghost Bond XL, Oil Resistant White Glue or Davlyn Green Adhesive should be used to keep the lace front wig in place (see below for other oil resistant adhesives). "What are the best lace front wig adhesives for someone with oily skin?" As well as the Davlyn Green mentioned above, the other two adhesives known for being resistant to oily skin are Ghost Bond XL, a water-based adhesive that was specifically formulated for oily scalps (and skin around the perimeter of the hairline), heavy perspiration and high humidity. Another and probably more obvious lace wig adhesive is Oil Resistant White Glue (ORWG) - Can you guess what it does? It does what it says on the bottle. It's really easy to use and what's more, a little goes a very long way. That's all for now folks on the best lace front wigs for oily skin, but you can find out about other questions in the Lace Wig (and traditional wig) Q&A section as well as the navigation menu; or if you'd like to keep up to date with the next guide about adhesives, removers, hair weave, hair extensions, wigs and hairpieces then join our blog – no personal info required.